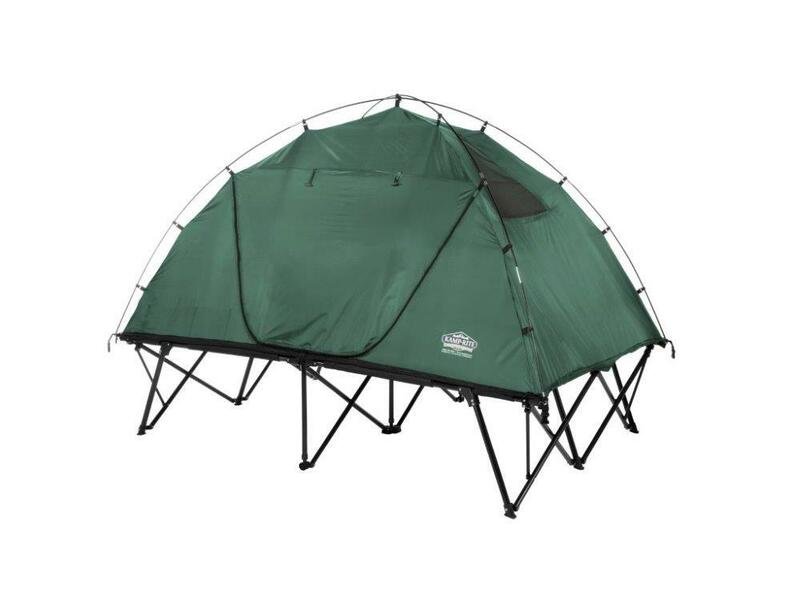 The two-person Kamp-Rite® CTC Double includes the 3-in-1 features of the Kamp-Rite® CTC Standard, sets up easily and quickly, and eliminates sleeping on damp or rocky ground while providing protection from insects and other annoying outdoor pests. 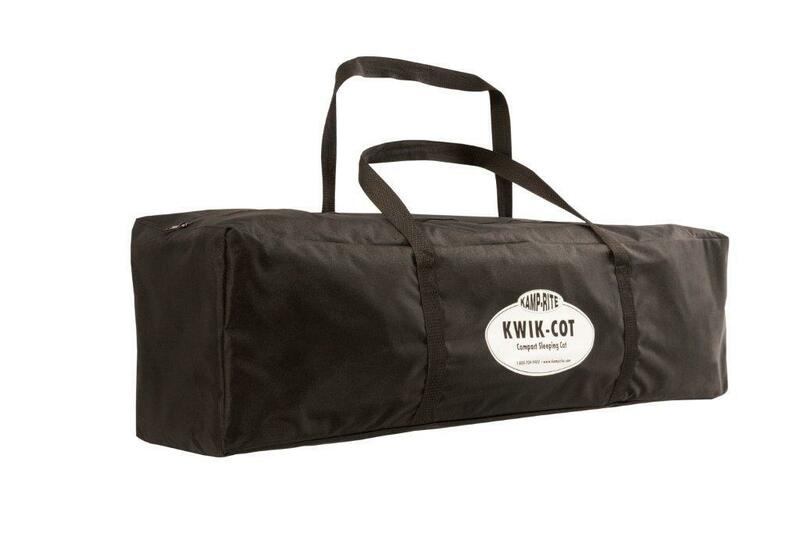 The Kamp-Rite® CTC Double is the two-person version of the Compact Tent Cot (CTC) line of off-the-ground products. 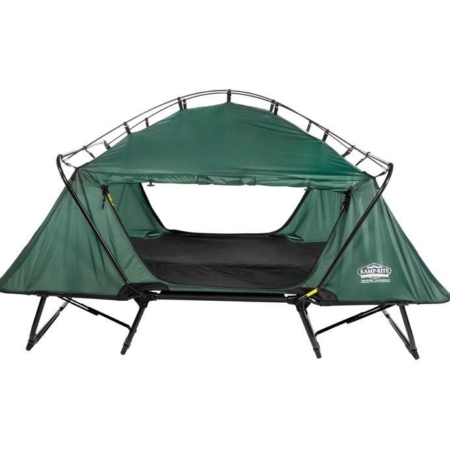 The CTC Double includes the 3-in-1 features of the CTC Standard—two separate, standard camping items (a tent and a cot) that combine to create a comfortable off-the-ground sleep shelter. 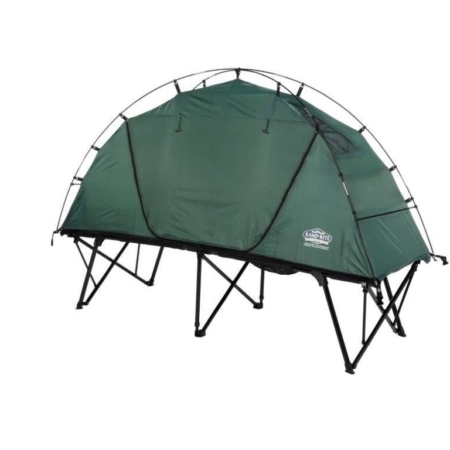 It sets up easily and quickly, and eliminates sleeping on damp or rocky ground, while providing protection from insects and other outdoor pests. 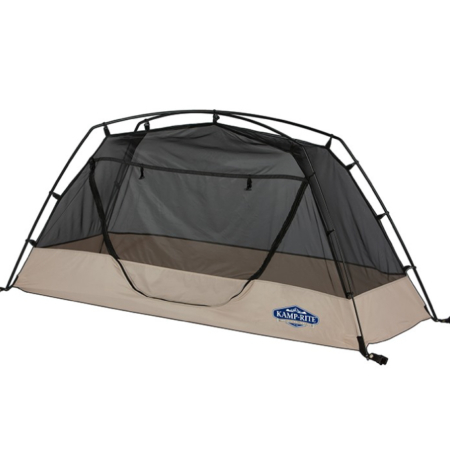 The two zippered, polyester and mesh entry doors allow easy access on either side of the fully enclosed sleeping area. 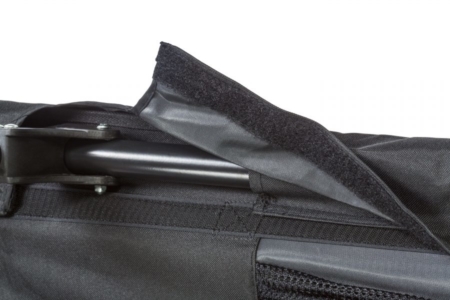 The sturdy, collapsible frame folds down to a compact size for easy storage and transport. Each CTC Double comes complete with a Kamp-Rite® Rain Fly and a convenient, Roller Wheeled Carry Bag. 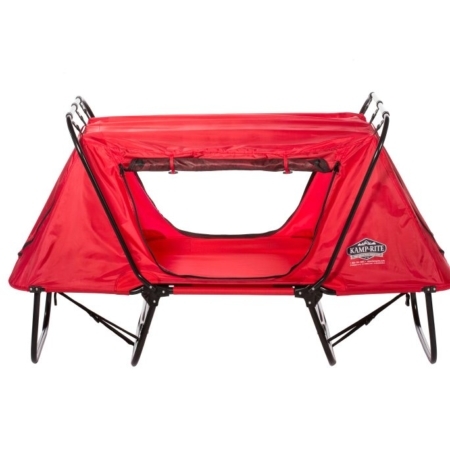 Great Tent Cot!! 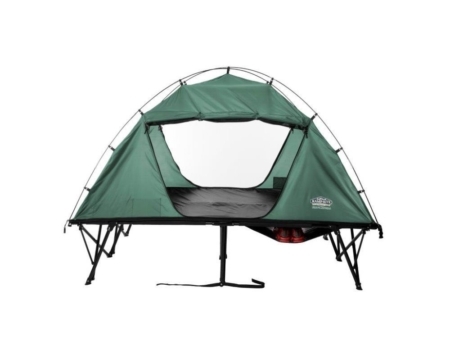 It is small, compact, light weight given that this sleeps 2 comfortably. I have used it 3 times so far and have not had any issues. Definitely a great purchase!! I love mine! It is a bit on the heavy side for me, but it is easy enough for me to set up on my own. 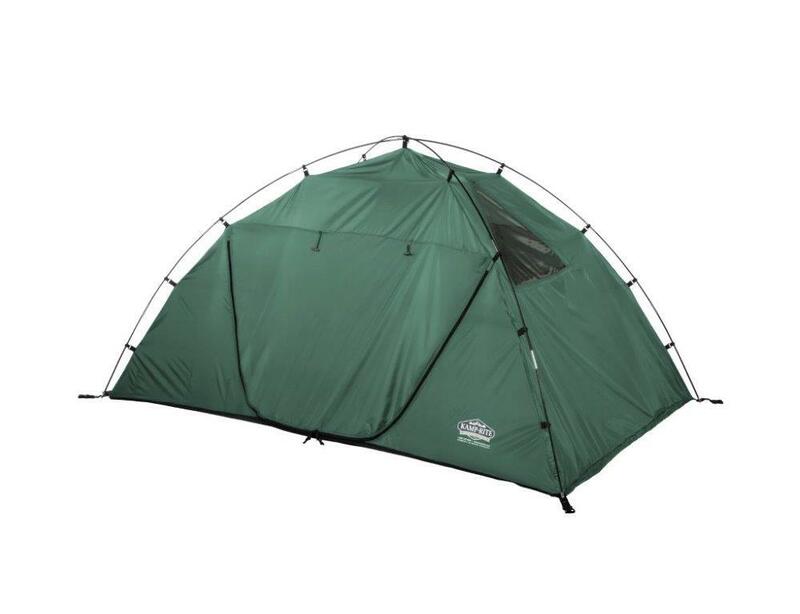 As I rarely have someone sharing a tent with me, I use one side for storing my stuff and the other side for sleeping. With the two doors, you can really get a nice breeze through. 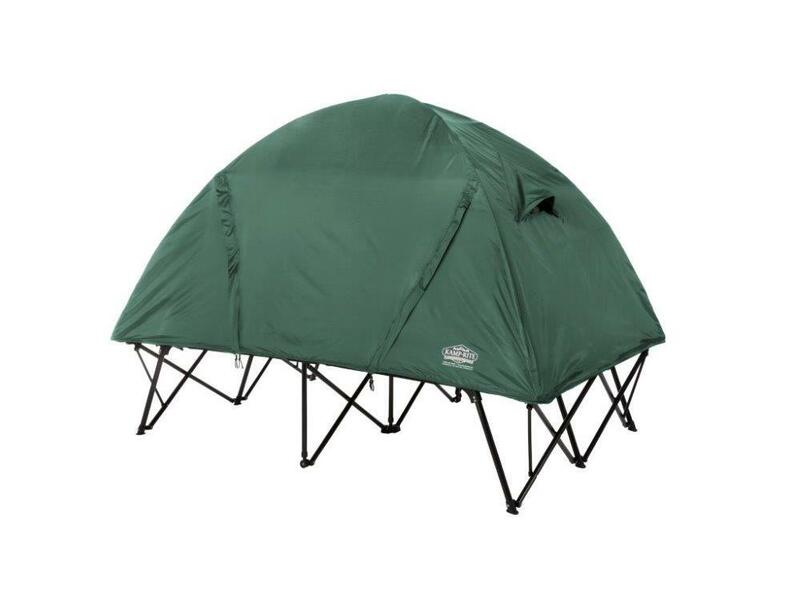 The only problem I really have is the lack of a way to keep the doors of the rain fly up. Last time I went out, it was raining off and on, so I kept it in use but wanted the doors open when it wasn’t raining and couldn’t do that easily.